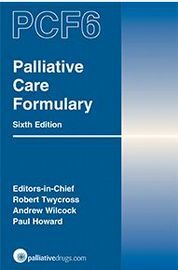 The sixth edition of Palliative Care Formulary (PCF6) is an essential resource for clinicians who prescribe for patients with progressive end-stage disease. Although written primarily with cancer patients in mind, PCF6 contains specific material relating to several other life-limiting diseases e.g. COPD, congestive heart failure, renal failure, and Parkinson's disease. PCF also includes a number of Quick Clinical Guides. 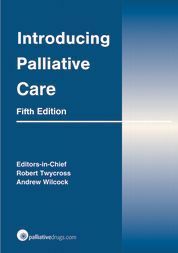 This comprehensive title includes independent information about drugs used in palliative care, highlighting off-label indications or routes, and dealing with the administration of multiple drugs by continuous subcutaneous infusion.